The gartel, a woven belt, is worn by many during davening prayer and other religious ceremonies and activities. The white gartel is traditionally worn to match the white kittel, on occasions like Yom Kipper and the Seder Night. 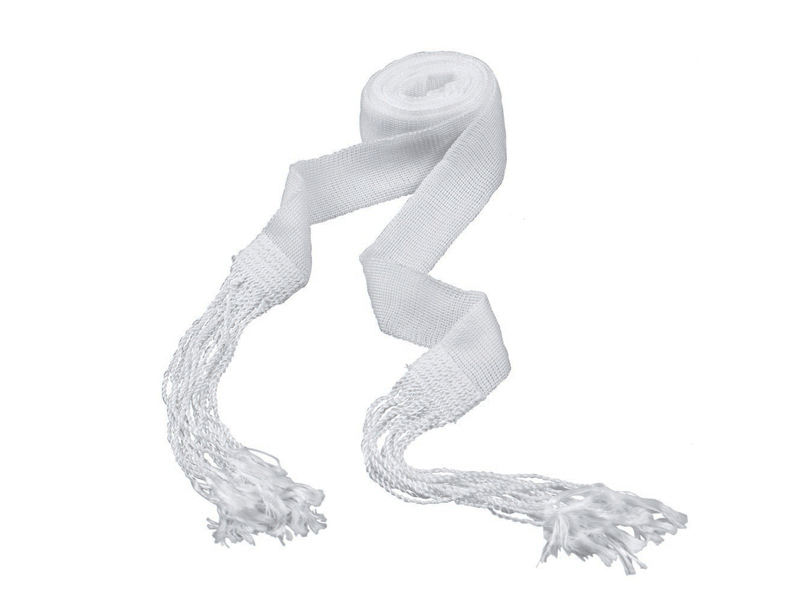 The white gartel is available in three different sizes and is finished with string fringes on both ends. The gartel size indicates the amount of stings, which makes the gartel wider.